Soha Ali Khan along with daughter Inaaya Naumi Kemmu visited brother Saif Ali Khan’s residence in Mumbai on June 12, 2018. 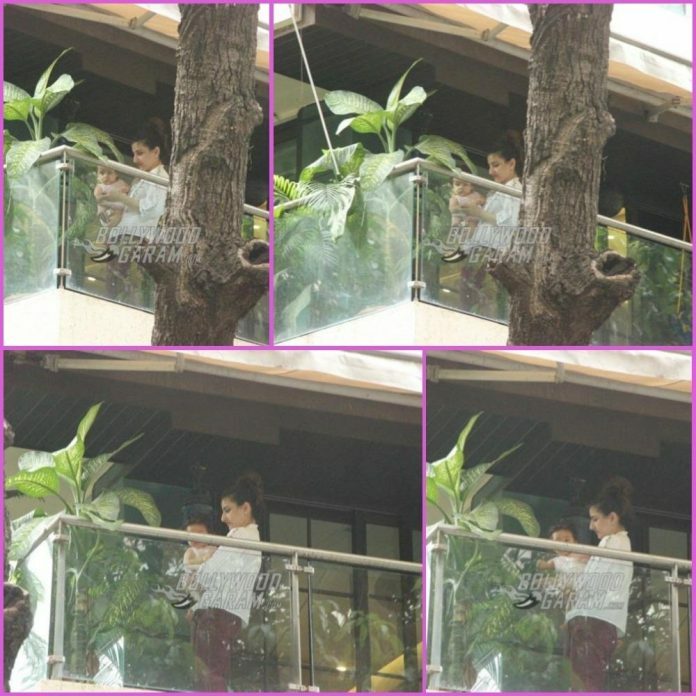 The actress was snapped spending some time with her daughter at the balcony. 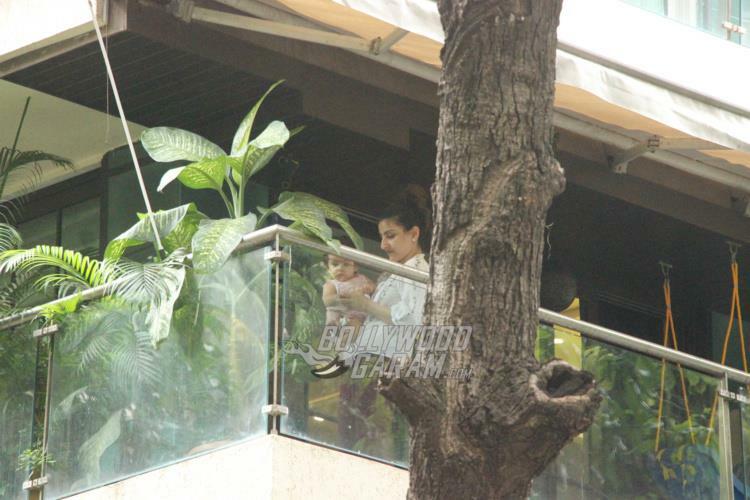 Inaaya was seen enjoying on cousin Taimur Ali Khan’s swing at the balcony and looked adorable. On the other hand Saif Ali Khan along with wife Kareena Kapoor and son Taimur are having a fun time holidaying in London. The family is also expected to holiday for a week at Europe. 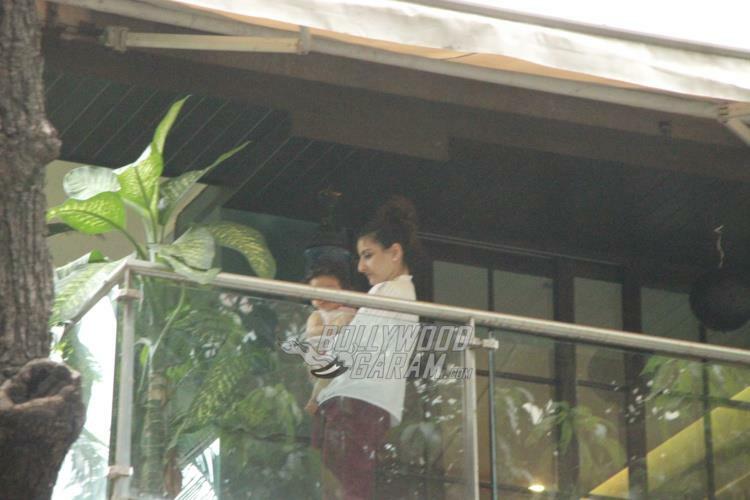 Soha was at Saif’s house and looked great in a casual white top and maroon pants as she spent time with daughter Inaaya. 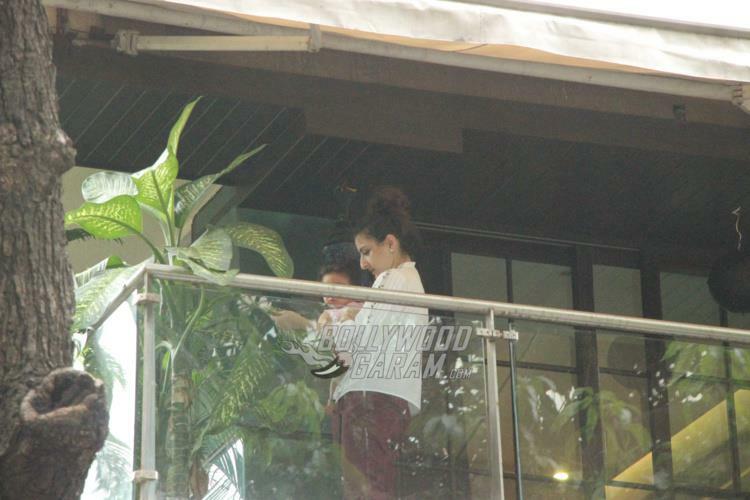 Kareena and Soha are often snapped at each other’s residence as they set up play-dates for their children Taimur and Inaaya. The parents often post some adorable pictures of the two spending some fun time together. 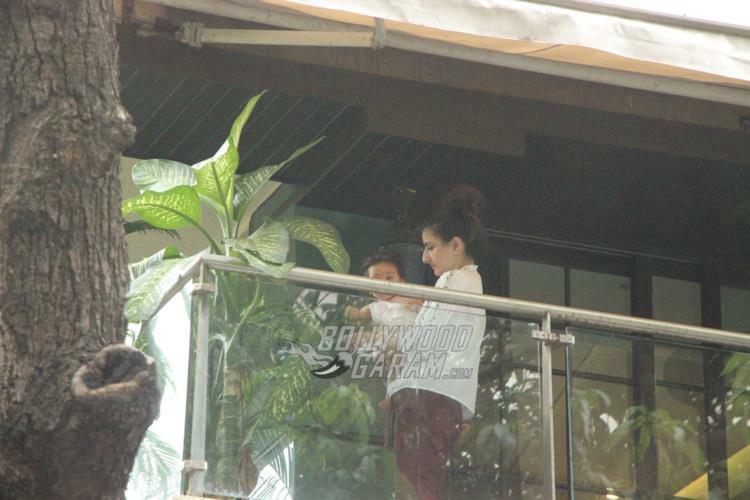 Their grandmother Sharmila Tagore in a recent interview said that she is glad that Taimur and Inaaya have each other for company as neither of the two will have another sibling anytime soon.